With the growing need for fitness in the modern world, spandex pants are must have in everyone's wardrobe. So we decided to make something that would exceed expectations. Spandex pants are often known to be uncomfortable but not the ones we offer. Our 180 gsm cotton spandex pants come with a firm waistband that won't slip down or cut into your skin. Running, cycling, yoga, dance or hiking are a breeze in these spandex pants. 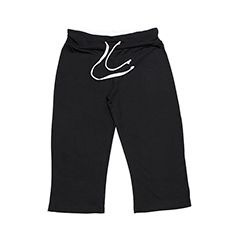 The waistband includes a drawstring which you can adjust according to your own waist and the ¾ leg length make it fashionable and great to work out in. In winters you can opt for a full leg length pant, it's still as comfortable and wearable. 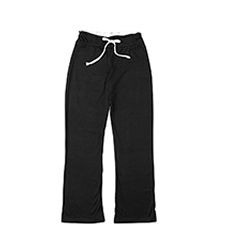 Cotton is naturally breathable so these pants will not wear out even after hours of exercise and sweating. Your skin will thank you for letting it breathe. It makes a great outfit for someone who is body conscious and wants to look fashionable in comfortable clothing. These pants will stretch while you stay in place. Fashionable Athletes will love it.